Is Your Scale Lying to You? 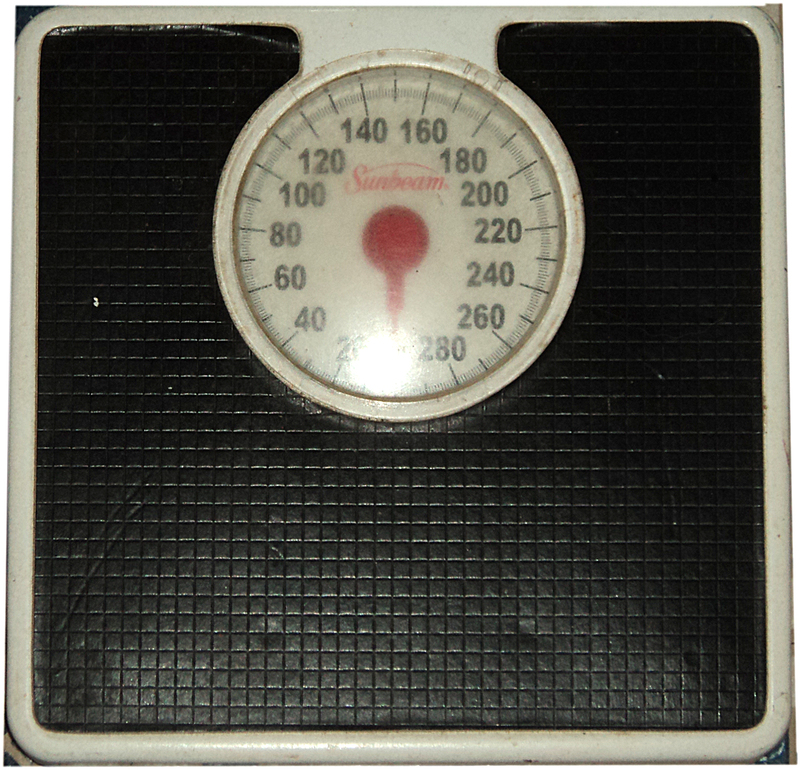 How do you tell if your scale is telling the truth? It isn’t too difficult. First and foremost, dramatic gains or losses. Unless you are Michael Phelps, you are not going into a 3,500 calorie deficit in one day. Similarly, while you might have gorged yourself last night, it would take a real effort to eat that same 3,500 calories in one evening. So, if you see your scale going up and down by pounds in a day, it isn’t fat that’s the answer, it’s water.The reason they suggest 1-2 lbs. a week as a reasonable weight loss amount is that, for most people, that is all that is truly achievable of real fat loss. People love to poo-poo the “calories in/calories out” advice, but the math doesn’t change. Just how you can get there does. Now for that pesky water. It is the culprit behind those dramatic weight loss diets and why people get discouraged when they can’t keep those big numbers going. I want you to do something for me tomorrow, if you are weighing yourself. Weigh yourself first thing in the morning, right after you pee. Now, drink two big glasses of water and weigh yourself again. Do I need to say anything after that? There’s your proof. The reason that people on low carb diets appear to lose multiple pounds in their first week is that carbs hold water. You store extra carbs as glucose (glycogen) in your body and with it, water. Strip that out, and *bang*, “I lost 5 lbs. my first week”. Of course, once you start eating carbs again, those 5 lbs. are the first ones back. It’s also why you gained two pounds after a night on the town eating or drinking carbs. The only other dramatic weight loss/gain factor is how much food do you have on board. In other words, what is in your digestive system? Again, much of this is water, but if you haven’t pooped in a while…. You get the idea. This is also why people appear to lose lots of weight on quick loss diets. Once you empty your digestive system and don’t refill it, that can be 3-5 lbs. right there. Where to Find the Truth? First, remember the scale is only a tool. Like all tools, it isn’t the only, or even the best one. It’s only as good as how it’s used. If it is controlling your life, don’t use it. Second,if you are a frequent weigher, you’ll see a range. I don’t recommend frequent weigh ins, as they can lead to mood swings and eating disorders, but in case you are, you’ll see the numbers fluctuate daily. Your true “weight” lies somewhere in that range. If the range starts to go up, or if it never gets down to where it used to, you’re gaining weight. If the lowest number is a new one, and it pops up over and over, you are losing. Third, weigh yourself at the same time of day, under the same conditions. I recommend naked, first thing in the morning. Your clothes can weigh anywhere from 1-5 lbs. Your water content should be relatively stable first thing as well. Fourth, no matter what the scale says, how are your clothes fitting? It is one of those truisms that if you are strength training, you’ll see the clothes change before the scale does. Muscle weighs more than fat, and if you are eating to fuel your workouts, you are holding more carbs/water than before. Fifth, what direction is it heading over time? Have you seen new numbers that you’ve never seen before? High or low? I hope this helps, especially if you are panicking. Remember, when it comes to weight loss, you need to take the long view. One spike or dip means nothing. It’s like the stock market. Daily fluctuations mean nothing, it’s the overall trend that you need to look at. Diabetes is a major problem nowadays. We could rehash all the reasons, but I have other reasons for bringing this up. To be clear, I’m talking about type II. Type one is so different in many ways we shouldn’t lump the two together. Type two is largely lifestyle generated, type 1 you are often born with. There are more distinctions than that, but it is enough for now to say we are talking in this article about type II. First, there was this article, Health Care Law Targeting Diabetics. Don’t worry, this isn’t a “big brother is going to get you article”. In order for everyone to have health care, we will have to be stricter about taking care of ourselves, and our health care system will be more proactive. I know diabetics who know almost nothing about their disease. The doctor handed them a script and a handful of literature and sent them on their way. I know many others who educated themselves. Your doctor ought to be your primary reference, and in far too many cases, he’s not. This might be one positive result to the new health care law. Then, there is this tantalizing article, Clues to Type 2 Diabetes Discovered on Mount Everest. The more we learn about how our bodies work, the more we can target treatments. Let’s face it, life’s not fair, some people have horrible diets, and don’t get diabetes at all, or very late in life, and others get it very early. We know that genetics plays a role, being overweight does too, as well as diet. The more we can hone in on the interplay, the closer we get to being able to say to someone what their personal risk factor is, similar to heart disease. Lastly, there was my experience lately with a diabetic. She told us she could not eat donuts because of it, but went ahead and had hot chocolate. She told us her daughter was diabetic, and she was an expert at “swapping carbs”, that the hot chocolate was her lunch, and that what she had was the equivalent of a sandwich and a beverage. That might work out, as far as her blood sugar is concerned, but it misses the point as far as good nutrition. It is hard if you are diabetic to avoid all sugar. There isn’t a one of us who doesn’t love desert. Not to mention bread and other starches. But outside of the fact that sugar isn’t good for any of us, and that cutting it back means you get more sensitive to it, so less really is more, there is also the question of what are you replacing it with. Food is fuel, and the better your fuel, the better you’ll run. I cringe when I hear of all the crazy things people are doing with their diets- whether it’s cutting carbs completely, no fat, no dairy, no gluten, etc. Those might be fine for a very small percentage of people- the number of actual celiac disease patients is still estimated to be 12%- but for most of us it is self-defeating and short-sighted. Food has things in it besides calories and carbs, that make you run well. Build the body today that you’ll be relying on a decade from now.